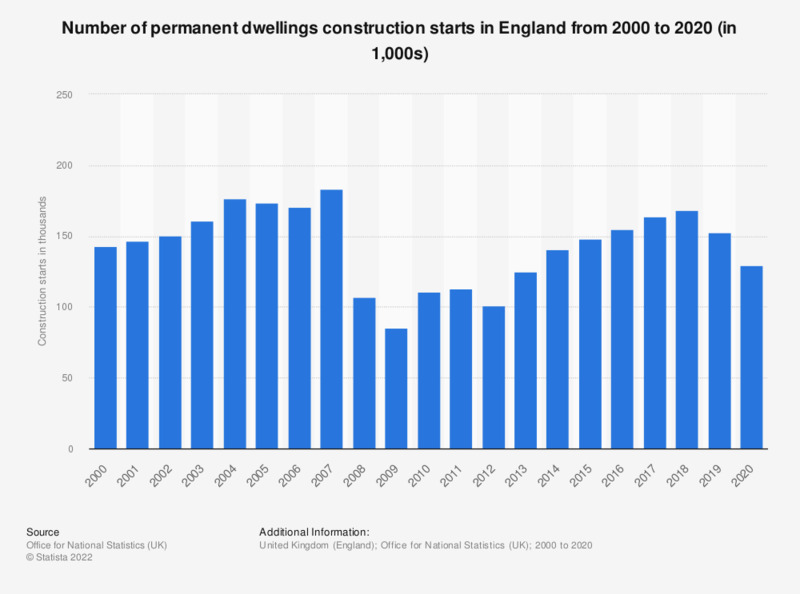 This statistic illustrates the number of permanent dwellings for which construction was started in England, in each financial year from 2001/02 to 2017/18. In 2017/18, there were a total of 160,180 new dwellings started..This number is still short of the 170,440 projects that were commenced in 2007/08, shortly before the global financial crisis. * According to the source, figures from October 2005 to March 2007 are missing a small number of starts and completions that were inspected by independent approved inspectors.